"Petr Beckmann was born in Prague, Czechoslovakia in 1924. He received his M.Sc. and Ph.D. in Electrical Engineering from Prague Technical University in 1942 and 1955, and a Dr.Sc. degree from the Czechoslovak Academy of Sciences in 1962. In 1963 he was invited by the University of Colorado as a Visiting Professor, defected to the US, became a US citizen, and taught at the University of Colorado until his retirement in 1981. "He has published more than 60 scientific papers, mostly devoted to eletromagnetc and probability theory. 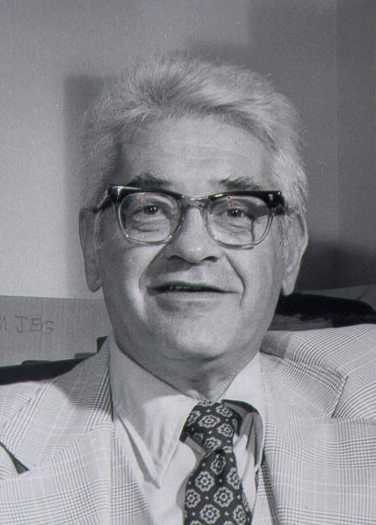 His scientific books include The Scattering of Electromagnetic Waves From Rough Surfaces (with A. Spizzichino, 1963, reprinted 1987), The Depolarization of Electromagnetic Waves (1968), and The Structure of Language (1973); his textbooks include Probability in Communication Engineering (1967), Elementary Queuing Theory and Telephone Traffic (1967), and Orthogonal Polynomials for Engineers and Physicists (19??). His best selling popular books are A History of Pi (1970) and The Health Hazards of NOT Going Nuclear (1976). However he left his mark on the world of physics with dissident classic Einstein Plus Two (1987), which played no small part in forming the dissident journal Galilean Electrodynamics and launching the dissident revolution of the 1990s. - Obituaries: Dr. Petr Beckmann (1924-1993)", Freedom Network News (Fall 1993). "Petr Beckmann died August 3, 1993 at the age of 68. He was born in Prague, Czechoslovakia in 1924 where he lived until he had to flee the Nazis in 1939. During WW-II he served in the Czech squadron of the RAF, 1942-45. After the war he returned to Prague, received a B.Sc. in Electrical Engineering in 1949, a Ph.D. in 1955, and also a D.Sc. from the Czech Academy of Sciences in 1962. "In 1963 he was invited to the University of Colorado as a visiting Professor and refused to return behind the Iron Curtain. He became a U.S. citizen, married Irene Muller in 1965, and was appointed a Full Professor of Electrical Engineering. In 1981, he took early retirement with Emeritus status, in order to devote himself fully to the defense of science, technology and free enterprise through his monthly newsletter Access to Energy. He founded the Golem Press in 1967, publishing more than 9 books. These included "The History of Pi", "Einstein Plus 2", and "Health Hazards of Not Going Nuclear". He wrote more than 60 scientific papers and 8 technical books. Dr. Beckmann spoke at I.S.I.L. 's San Francisco Conference in 1990 where he received a standing ovation for his speech in which he attacked 'sham environmentalists'. "His Access to Energy was always hard-hitting and his style, like him, feisty. We loved his attacks on Ralph Nader, his favorite bete noir, as well as the incisive manner in which he demolished environmental frauds. He was a friend and a great fighter and we will miss him." - Howard Hayden, "Petr Beckmann (1924-1993)", Galilean Electrodynamics, V4, N6, pp. 103-104 (Nov/Dec 1993). "Test of the Constancy of Electromagnetic Radiation in High Vacuum," Radio Science, V-69-D, pp. 623-628 (1965). "Equivalent Electromagnetic Constants of Moving Media," Proceedings of the IEEE, V58, pp. 800-801 (1970).